A good prospector diligently digs for the vein of gold hidden from the casual observer of the terrain, and so the Child of God searches for the golden nuggets within the Word of God. Such is a study in the Book of Judges. Let’s get our spiritual pickaxes and delve into hidden treasures within Chapter 5. Deeper examination of Judges chapter 5 reveals how Deborah, as a prophetess and a Judge, is not only giving us more than mere poetry but also a messianic prophecy dealing with the coming of the Messiah. The entire chapter is dealing with Christ’s return to this earth, in power, by making numerous inferences to events that will take place in the latter days. As the hidden treasure is unfolded you will never again read this chapter the same way. Let’s begin by noting that verse 2 mentions the avenger of Israel, which of course is the Lord Jesus. In the last days, God will avenge Israel and destroy her adversaries at the great battle of Armageddon. In verses 3 and 19 there is a reference to ‘Kings’ Since the Israelites were only fighting against one king at this time, Jabin, it would stand to reason that this is referring to the gathering of the kings of the world against Christ at this battle. This is confirmed in verse 14 as it mentions that the Israelites were fighting against Amalek which is south of Palestine, and not near the battle by the Dead Sea, We can conclude that this is one of the Nations which will be destroyed in the great and fearsome battle in the Valley of Jezreel.. There is so much prophecy in this little chapter but I want to continue with verses 19 and 20. The great and horrendous battle of Armageddon will be fought in the Valley of Jezreel.. The stars in verse 20 relate to the Saints who will accompany Christ when he defeats the Satanic forces. There will be no booty taken, no gain of money, because all the 200,million troops were slain. The amount of blood shed will spread for 12,800 miles and will be 5 foot deep, even up to the horse’s bridle. The world stage is being set for the return of Jesus Christ for his Church, those folk who have accepted him as their personal Savior and have had their sins forgiven. One day the Lord himself shall descend from heaven with a shout, with the voice of the Archangel, and with the trump of God: and the dead in Christ shall rise first,.Then we which are alive and remain shall be caught up together with them in the clouds, to meet the Lord in the air: and so shall we ever be with the Lord. Those Christians who have died will have their souls lifted out of their grave and those who are still living will ascend up into the clouds to meet Jesus. The world will then be in complete chaos. Planes that were piloted by a Christian will plummet to the earth. Multiple injuries will be sustained from accidents of vehicles driven by a Christian. Surgeons performing major surgery will be taken out of the operating room as startled attendants watch. The Holy Spirit will be removed from the world.There will not be one saved man upon the face of the earth. The Anti-Christ will rise up and bring world wide calm. Sin will become more rampant as Satan sets the stage for his rule of a one world government. The One World Church, the Catholic Church will rise up only to be crushed by Satan. Those who did not take heed to the warning given by a caring friend will suffer great persecution by being martyred for not taking the Mark of the Beast. These truths are indeed terrifying to say the least but the greater issue is the pain and agony within the Believer’s heart for those friends and loved ones who have not accepted Jesus as their Savior. Tears come to my eyes as I recall those whom I love who have rejected the Gospel, even after being witnessed to several times. Among those are some family members and some very special friends. One particular friend stated that he accepted God, but in the months after his ‘profession’ he continues to participate in those sins which God particularly hates. He seems to have no desire to attend a Bible preaching Church or to share his ‘conversion’ with his family and friends. Another friend became so angry that he will not even speak to me. Unless God intervenes through my persistent prayers, these two friends as well as some of my immediate and extended family will not be rescued when Christ calls his people out of this World. God has given me hope in that he stated that those who goeth forth and weepeth, bearing precious seed, shall doubtless come again with rejoicing, bringing his sheaves with him. I have given extensive study to the Jewish Palestinian guestion. The issue is whether we will take the authority of the Bible of our mothers or the Karan with the sword and flame. In that whole controversy the big issue is who owns the land, who has the title to that land? If that question is settled there is no other question. 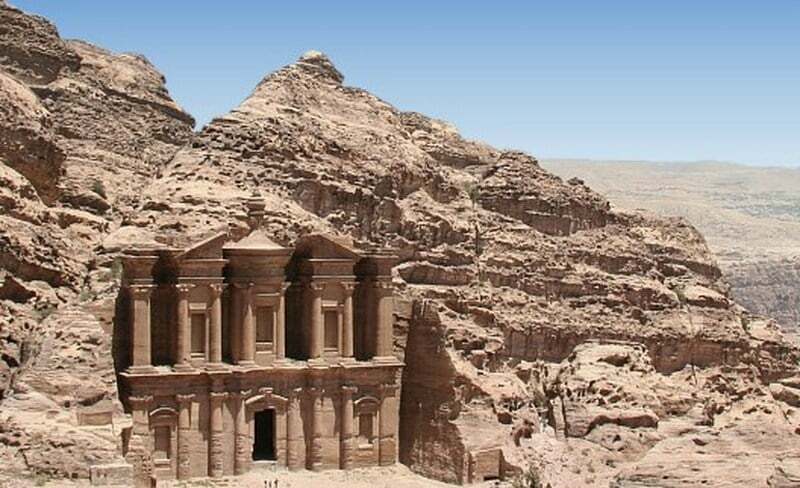 The Lord God Almighty in Genesis the 17th chapter, specifically states that the title to Palestine is given ot to Ishmael, the ancestor of the Arabs, but to Isaac and his seed forever. “And God said, Sarah they wife shall bear thee a son indeed’; and thou shalt call his name Isaac: and I will establish my covenant with him for an everlasting covenant, and with his seed after him” Genesis 17:19 This covenant was confirmed to Isaac, Genesis 26:3 Sojourn in this land, and I will be with thee, and will bless thee; for unto thee, and to thy seed, I will give all these countries, and I will perform the oath which I sware unto Abraham thy father. Thirteen hundred years ago the Arabs were usurpers, Mohmnnet with fire and sword, and they were robbers of property that belongs to the Jews. A second and very important authority in addition to the Scriptural authority, Great Britain was given mandate over Palestine for the purpose of Jewish immigration into hat land and for making it a national home. This mandate was confirmed by the United States Government and by the 57 Nations of the League of Nations. The tragedy and the cause of all the present trouble is that Neville Chamberlain, Prime Minister, put on a two fold appeasement in 1939. First with Hitler, and that brought on World War II. Second, with the Arabs who were the allies of Hitler. Chamberlain violated the international law giving that land as a national home for Jews in 1939, and said that only 70,000 Jews would be permitted to go the next five years, and after that none except by the consent of the Arabs. But the mandate made no such restrictions. Therefore the present Jewish immigration into Palestine is not “illegal”; it’s legal. Based on the mandate given to Great Britain over Palestine, and confirmed by the United States Government and confirmed by the League of Nations, the Jews invested six hundred and fifty million dollars in Palestine, built cities, public works, and the curse of God Almighty is on every hand that violated this most solemn agreement the mandate three times over confirmed. Now, Mr. President, it certainly is a matter that should cause us to stop and think the Arab leaders from the Grand Multi on down were allies of Hitler, and it ill becomes them to come now into court with their hands dripping with the blood of Jews, six million of them murdered by Hitler. I interviewed many Arab leaders and without question I found that the whole crowd are for Stalin, just like they formerly were for Hitler. While this country was fighting Hitler, thirty thousand young Jews from Palestine volunteered and went to the battle front and not a single Arab regiment. If the Arabs and the Jews in Palestine were left alone they would get along and settle their troubles. Russia is doing everything a her command to ferment the trouble. The time has come, and long past, when the United States should keep its promise and take a firm stand for law and order in that land that has given the world it Bible and Saviour. This letter was written by Dr. J Frank Norris on October 2, 1947 in response to an inquiry by President Harry S. Truman. 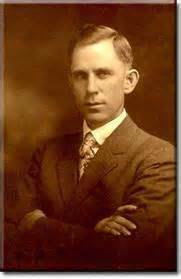 It was through this preacher’s wisdom that President Truman recognized Israel as a Nation. Perhaps it would behoove our current President not to defy the Living God of Abraham, Isaac and Jacob by befriending the Arabs, the devout enemy of the Jewish people. We, the people of Israel, owe you a huge debt of gratitude. You have succeeded where we have failed. Because never before, in the history of the modern State of Israel, has the Jewish people been so united, like one person with one heart. You stole three of our most precious children, and slaughtered them in cold blood. But before we could discover the horrible truth, we had 18 days of pain and anxiety while we searched for them, during which our nation united as never before, in prayer, in hopes, in mutual support. And now, as you continue to launch deadly missiles indiscriminately, intended to maim and murder as many civilians as possible, while you take cowardly refuge behind your own civilians – you continue to inspire us to hold strongly onto our newly discovered unity. Whatever disputes we Jews may have with each other, we now know that we have one common goal: we will defeat you. But we are offering you now one last chance. Within 24 hours, all rocket fire – and I mean all rocket fire – will cease. Completely. Forever. I give you formal notice that our tanks are massed at the Gaza border, with artillery and air support at the ready. We have already dropped leaflets over the northern parts of the Gaza strip, warning civilians of our impending arrival, and that they should evacuate southward, forthwith. If you fail to meet our ultimatum, we are coming in, and, with God’s help, this time we will not leave. Every centimeter of land that we conquer will be annexed to Israel, so that there will never be another attack launched at our civilians from there. It pains me deeply that your civilians will be made homeless. But we did not choose this war; you did. And if our choice is between allowing our citizens to be targeted mercilessly by your genocidal savagery, versus turning your civilians into refugees, I regret that we must choose the latter. If only you loved your people as much as you hate ours, this war would never have happened. To the rest of the world: Israel has tired of your ceaseless chidings that we should “show restraint”. When you have your entire population under constant missile fire from an implacable enemy whose stated goal is the of murder every man, woman and child in your land, then you may come and talk to us about “restraint”. Until then, we respectfully suggest that you keep your double standards to yourselves. This time, Hamas has gone too far, and we will do whatever we have to in order to protect our population. Hamas, once again, I thank you for bringing our people together with such clarity of mind and unity of purpose. The people of Israel do not fear the long road ahead. Am Yisrael Chai. It has been reported that a red heifer has been born that meets the qualifications of being used in the cleansing of the future Temple to be built in Israel. Up until now, one of the major barriers to the rebuilding of the Jewish Temple has been the lack of a red heifer, and without one it would not be possible to resume Temple worship. Now that a candidate has been found that could change everything. 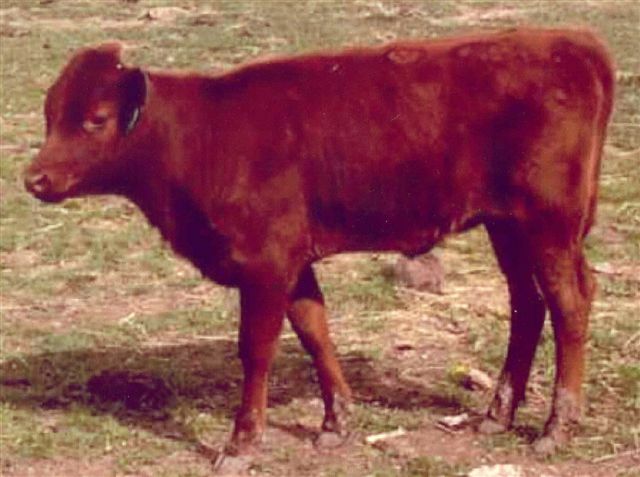 This red heifer was born in the United States, and the owners of the red heifer contacted the Temple institute in Jerusalem to receive instructions on how to care for the animal. It is hoped that this red heifer will eventually be transported to Israel to be used for the purification of the priests and the vessels that will be used in the rebuilt Jewish Temple. According to Jewish Law, the animal cannot even have one black hair, nor have been bred or used for labor by placing a yoke onto the beast. The appearance of a perfect red heifer has apparently sent shock waves amongst the Temple Faithful in Israel, for they believe it will usher in the Messiah. But it will not. It will however, usher in a time of agony, bloodshed and woe the likes of which this world has never seen. It will start with the False Prophet in a rebuilt Third Temple and it will end with the Battle of Armageddon. The Bible teaches that one day there will again be a Temple of God in Jerusalem. (Ezekiel 41-45) A group in Jerusalem called the Temple Institute has been tirelessly working for the past 27 years to fashion all of the items that will be needed for worship in the Third Jewish Temple. It has been a painstakingly slow job but one that they have accomplished. One missing ingredient, however, was a perfect, unblemished red heifer as found in Numbers 19, whose ashes would be used in a purification cleansing ritual for the Temple. For the entire time that the Temple has stood in Israel, a total of nice red heifers have been used. The 10th heifer has been found in America. When a red heifer is born, which is quite unusual, it may well be an indication that the temple will soon be rebuilt. 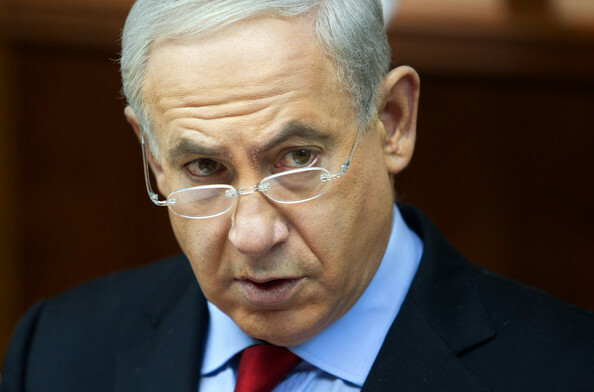 Is Israel going to be involved in a war during the blood-red moons of 2014 and 2015? According to ancient Jewish tradition, a lunar eclipse is a harbinger of bad things for Israel. If that eclipse is blood-red, that is a sign that war is coming. 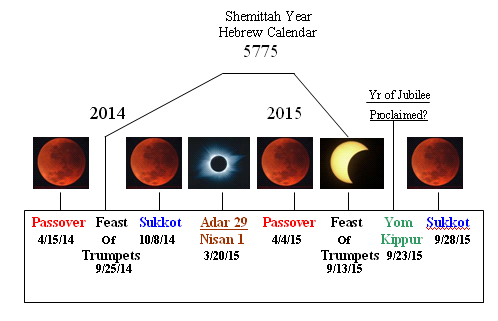 And blood-red moons that happen during Biblical festivals seem to be particularly significant. There was a “tetrad” of blood-red moons that fell during Passover 1967, the Feast of Tabernacles 1967, Passover 1968 and the Feast of Tabernacles 1968. And of course the 1967 war during which Israel took full control of Jerusalem took place during that time period. There was also a “tetrad” of blood-red moons that fell during Passover 1949, the Feast of Tabernacles 1949, Passover 1950 and the Feast of Tabernacles 1950. If you know your history, you already are aware that the Israeli War of Independence ended on July 20th, 1949. So does the blood-red moon tetrad of 2014 and 2015 signal that another season of war is now upon us? During 2014 and 2015 we will witness some highly unusual astronomical events. In fact, there will be four “blood moons” during an 18-month period, and each blood moon will occur on a Jewish holy day. Such Lunar occurrences are rare and have been linked to major events. Apparently in 1493, and 1494, Jews were expelled from Spain and the Blood-Moons of those years came right after the Jews assembled in their homeland for the first time in a thousand years. The Blood-Moons of 1967 and 1968 have been linked to the Six-day War, and the re-birth of the Nation of Israel. 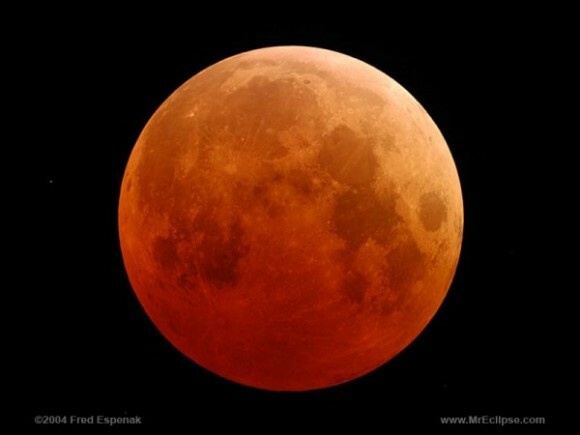 These is much speculation within the religious community as to the significance of the forthcoming Blood-Moons. In the Old Testament God stated through the Prophet Joel ”The Sun shall be turned into darkness, and the moon into blood, before the great and terrible day of the Lord, comes. Joel 2:31. The next major event on God’s prophetic calendar is the Rapture of His Church. After that the stage will be set for the Great and Terrible Day of the Lord. It does seem unlikely that these forthcoming Blood Moons will represent a fulfillment of Joel’s prophecy. However, they do seem to fit into the category of Signs of the times. In the book of Genesis, we read that God created the stars, moons, and planets and intended them to be “for signs and for seasons.” This is why the birth of Jesus coincided with many astronomical wonders, including the “star” that settled over Bethlehem. We are commanded to look up, for when we see these things come to pass, we are to look up for our redemption draweth nigh! It will be interesting to see what will take place in the next two years. Will it be an event of historic proportion? Be ye ready for in such an hour as ye think not, the Son of Man Cometh.